If it is true that what doesn’t kill you makes you stronger, the six members of Team 4 must be exceedingly fortified after their stint in TL. Headed by frequent flyer, Dr David Digges, the team consisted of first-timer, Dr Ashley Freeman, our translator, Mr Bonifacio Cardoso Martins (Bony), and tag-teamers, Mrs Liz Eberl, Ms Aisling Digges (both on their 2nd trip) and Dr Geoff Knight (on his 4th trip). The team spent the first week in Maliana, which is a 5 hour scenic drive west from our base in Maubara. 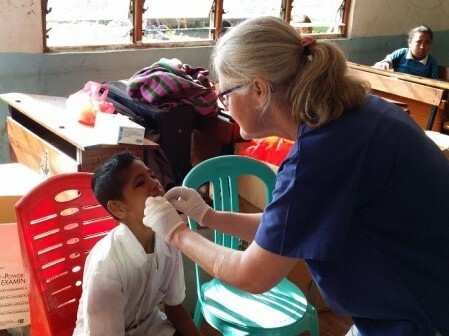 On their way, they stopped at the historic village of Balibo, where they had lunch at the restored Balibo Fort and visited the newly opened dental clinic, managed by the Balibo House Trust. They are also looking for volunteer dentists and the accommodation is 4-star! Bony and Tino had organised the team’s accommodation and program in Maliana well in advance. The team were met by the welcome party of Bony’s family, who live in Maliana, and stayed in a lovely guesthouse surrounded by mountains, with sweeping views over rice paddies. They spent the first 2.5 days working at the hospital, where they were able to spend some time upskilling Jose, the resident dental therapist. 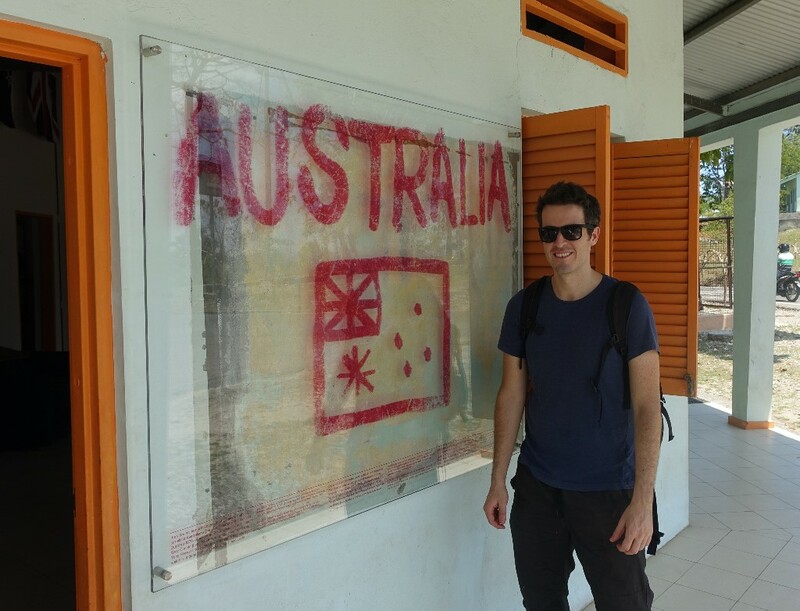 Jose used to work with Australian-trained dentist Dr Amelia Barreto, but like many professionals, she quite rapidly shed her clinical position, moving to Dili to work in the Health Ministry. The work became a battle when the team moved to the largest conjoined primary and secondary school in Maliana – 1500 children. This is Bony’s alma mater and three of his siblings still attend school there. Team 4 was treated to their first full Bony experience – given a microphone, Bony launched into his usual routine – an encouraging speech, oral hygiene demonstration and the ‘Brushing Song’. No one can withstand his natural charm and enthusiasm! Notwithstanding the fun atmosphere, the team was in for a gruelling 2.5 days. They treated so many children that the days passed in a blur! Surprisingly, all the equipment held up under the stress, with only one thing marring the otherwise seamless week – Someone locked the keys in the car. This necessitated the convening of a village think-tank and a search through the underbelly of Maliana for one with the necessary skills to retrieve the keys. The middle weekend is important to the teams. It is the changeover weekend – of people, equipment and locations. It gives us at least a day to recharge ourselves, to effect any urgent maintenance and repairs, and restock our depleted supplies for the following week. 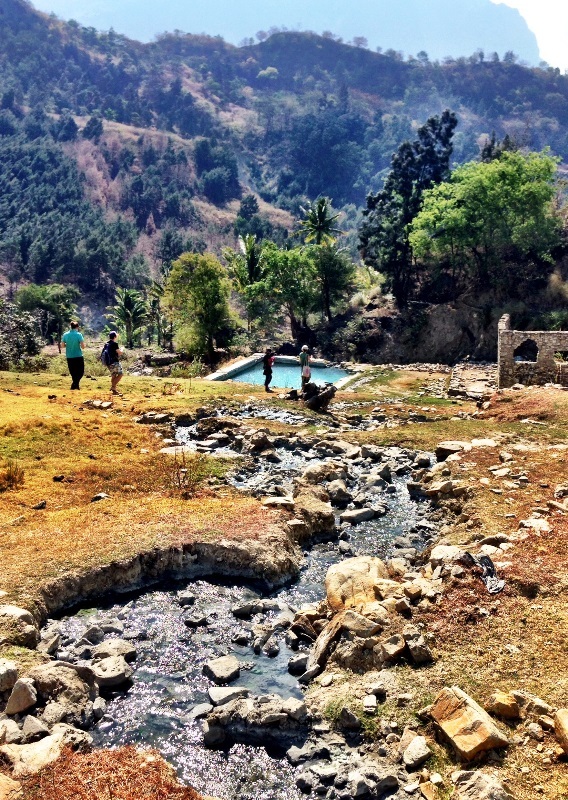 Team 4’s weekend was filled with visits to the Maubara orphanage, to the ‘head office’ convent at Fatuhada, showers and internet in Dili (aaaahhhh!! ), and lunch with our mate, Mimi Chungue (who found Bony for us – thank you Mimi!). They farewelled Liz and picked up Aisling and Geoff, then headed into Week 2 on the flawless 3 year old road to Railaco. 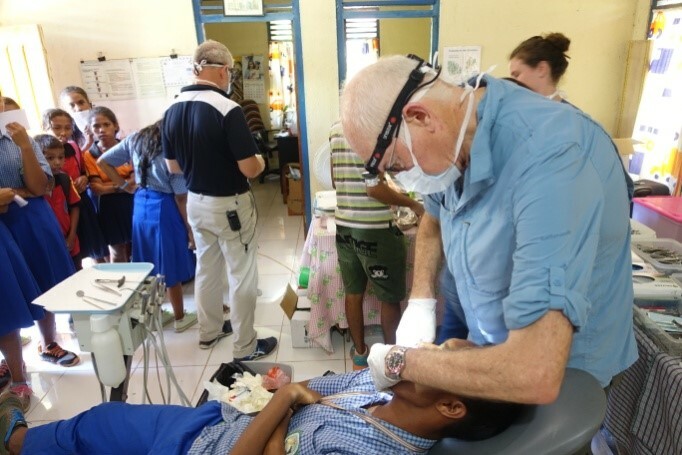 The teams who have worked with Geoff Knight have always commented on how much they learn from him, especially with regards to using Silver Fluoride/Potassium Iodide to save teeth from the bucket. With continuing donations from SDI, which markets AgF/KI as Riva Star, our teams have enthusiastically added this product, and the treatment protocol developed by Geoff, to our dental ‘toolkit’, both in TL and at home. We are deeply grateful to both Geoff and SDI for their support. Hence, while the Team sorely missed the presence of Tino, whose baby was hospitalised at the time, they continued to benefit from Geoff’s expertise – Geoff even treated David’s mortally wounded finger with AgF – preventing amputation or worse! The team shifted a lot this week. The first 3 days they were hosted by the indefatigable Father Bong, who organised the team to work on someone’s balcony in Nasutu the first morning, then spend that afternoon and the following day in Railaco Clinic. The third day the team worked on the back deck of the church in Railaco Leten, which is reached by a very steep, very windy road with stunning views to be enjoyed by everyone except the white-knuckled driver. The last 2 days the team was sent back down the hill to Kasait, which is near the shipyards on the way to Maubara. The Jesuits have been busy building a clinic and a school there. The team was coddled by Sr Eliza, who is also a registered nurse, and were wined and dined by the Jesuits up above, in Montserrat, a monastery that, like the original, has stunning views over the coast. The team treated both community members and school children, and was ably assisted by a young Jesuit intern, Brother Francisco from Portugal. Again, their seemed to be no problems with equipment this week. Yet again, only one thing marred the seamless nature of the operation – Someone (and I think it was the same ‘someone’) was a tad lackadaisical in the packing of T2, which resulted in the totally preventable breaking of the Bundy bottles and an obscene wastage of good rum! The team worked their fingers to the bone. Their massive effort saw 973 examined, 427 extractions, 353 teeth filled, 18 cleans and 227 preventive treatments. Well done Team 4! Luckily, they seemed to have also had a fabulous time, hence, they are in no danger of becoming dull anytime soon. Thank you again to SDI and also to Henry Schein Halas, who also give us huge amounts of materials throughout the year – we would quickly grind to a halt without you. Thank you to all our supporters and to Sr Filomena and Father Bong for organising us while in TL. Our last thank you goes to Bony – whose enthusiasm, good humour and sheer hard work has helped each and every team do their job more effectively this year. As 2014 draws to a close, one naturally reflects upon the year which has passed so rapidly. 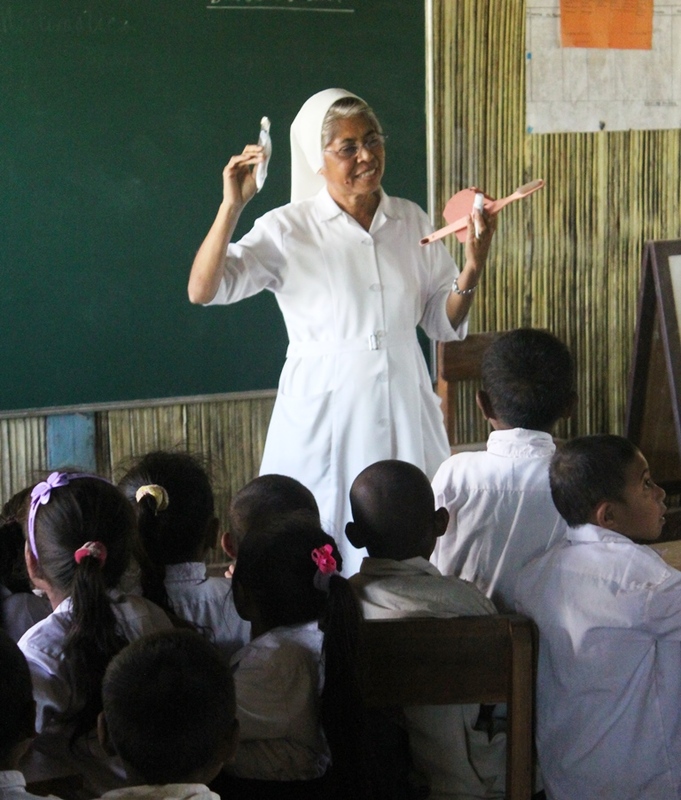 It has been an exceedingly busy and exciting year for all of us in the Timor Leste Dental Program. We have welcomed a whole bunch of new volunteers and said our sad goodbyes to those who have called it a day. It has been a year of outrageously intense fundraising and thanks to all our supporters, we managed to not only achieve our goal of buying a new Troopie – T2 – but we have been able to raise money that will carry us forward for the next few years. Your generosity and support has been overwhelming and we are grateful not only for your financial support, but also for your ideas and advice. 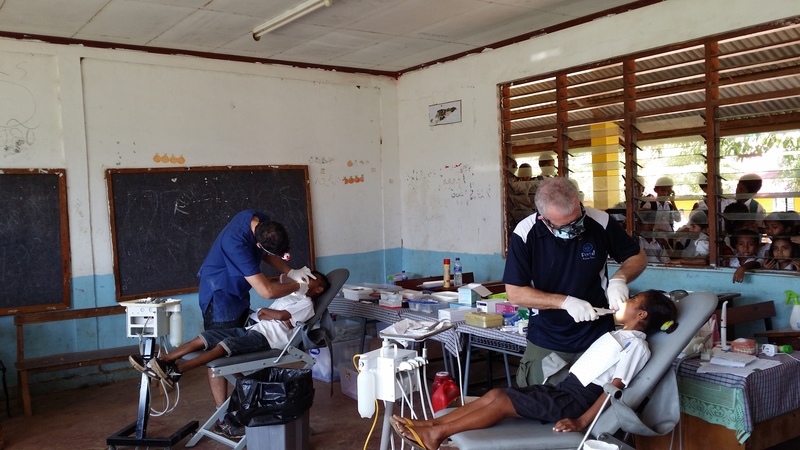 As this goes to press, we are preparing to transport a second hand dental chair (donated by Dr David Sheen) to our new partners, the Jesuit Mission in Railaco. This chair will be useful when our teams are in Railaco and we are hoping it will also be useful for Father Bong, a medical GP, for procedural work. With the chair goes a second portable suction unit, donated by Dr Gordon Howe of Manly, and a portable dental unit as well. We are also hoping to sneak in 119 boxes of gloves with the ‘package’ so the teams don’t have to lug around so much luggage next year. Fingers crossed! The ‘package’ will be sent to Melbourne by courier, to be placed on the next shipping container to Dili. We have had an unprecedented number of volunteers putting up their hand for 2015, and I am happy to report that our increased profile has allowed us to send 5 teams in 2015 – we may even have a 6th! Our volunteer year kicks off in late April with Team 1 being lead by David Sheen, who will be accompanied by the super enthusiastic Peter Shakes and equipment guru Keith Mentiplay. Team 2, lead by John Moran and his talented daughter, Sam, will head out in early June. Newcomers, Dr Mary Tiutuinnik and Beth Bowen will join Team 3 in late July, with Blanche Tsetong and jack-of-all-trades Wayne Pearson. Team 4, lead by super chilled David Digges, with dental legend, Geoff Knight, will leave late August. Team 5, consisting of Andy Moran (Snake), Gordon Saggers (Cowboy) and Alan Christie (Agatha) will head to TL in mid- September and will be the first of our teams to work in Railaco only. For advice on those nicknames – I am reliably told it is secret Railaco business – apply to Father Bong. Thank you to all of our volunteers, our long-suffering families, our friends and supporters for everything you have given to the program this year. We wish you all a safe, very happy Christmas and a super new year! See you all in 2015! 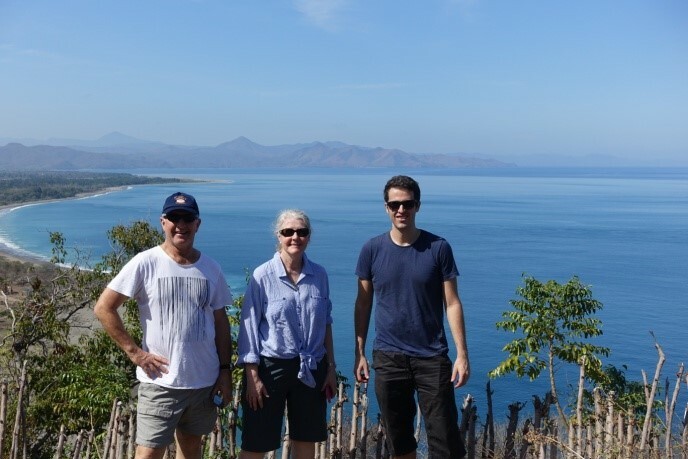 Our last team for 2014 returned from Timor Leste a couple of weeks ago, tired but triumphant. The team was exceedingly busy both weeks. 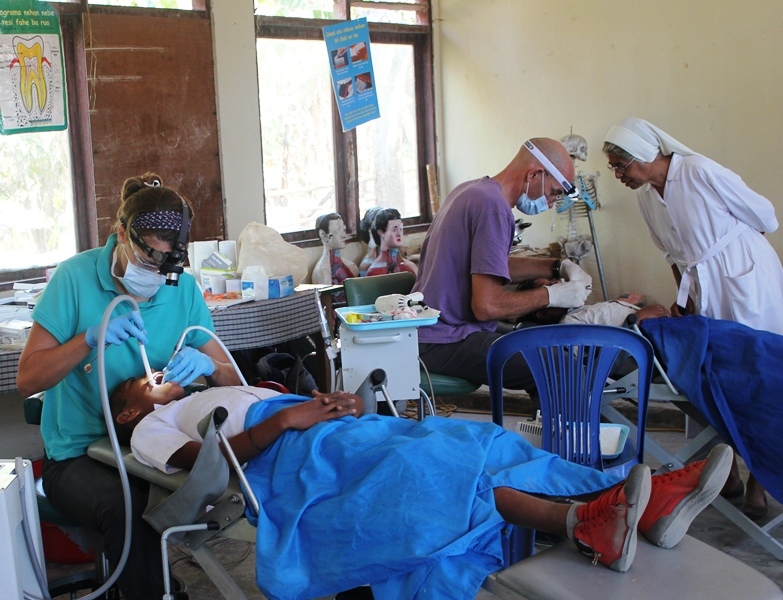 In the first week our intrepid team, comprising Dr Hans Raets (Team leader), Dr Yvonne Huijser Von Reenen and Ms Breanna Martin, made the first dental visit to the village of Lebuletta, a 90 min 4WD into the hills above Maubara. We are not sure they will be invited back – by hooking up to the village’s brand new electricity supply, they blew all the fuses! That same week, the team also visited the nearby villages of Paurobo and Kaikasa where they were dismayed by the high levels of decay. They were also plagued by equipment failures – herniated air lines, seizing of high speed and slow speed handpieces and malfunctioning valves on the steriliser. Luckily the team had Breanna – a secret expert in battling recalcitrant equipment. She singlehandedly fixed both the air line and the valves. 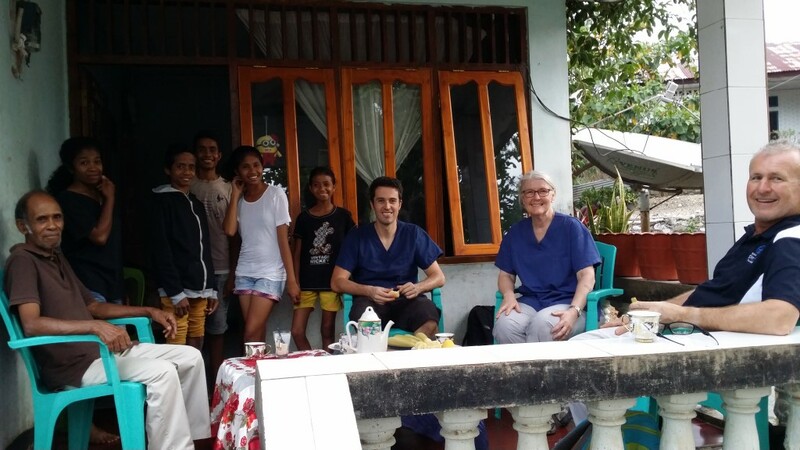 In the second week, the team was joined by Dr Geoff Knight and his daughter, Anneli Knight, as well as Aida, the Timorese Dental Therapist that the program mentors, who works in Liquiça and Maubara. The team took off to Bobonaro, a 5 hour rough journey with spectacular scenery. 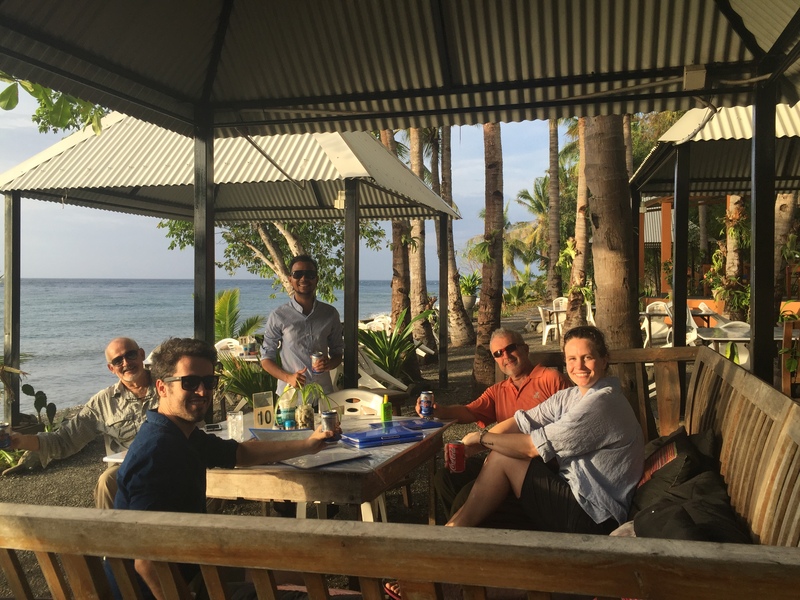 They made a stop in the infamous town of Balibo, where Rotary is building a guesthouse and clinic (apparently the rooms and food are 1st class! We have already volunteered to test them out). 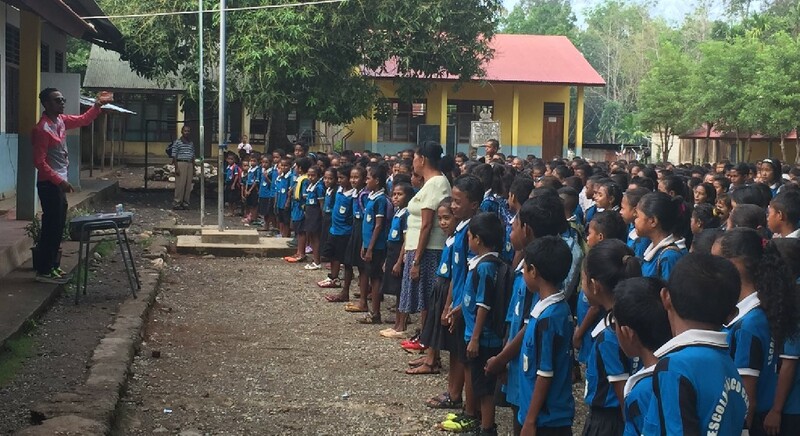 A lucky team, they were fortunate to be just in time to see the Tour de Timor cyclists cross the Stage 2 finish line! In Bobonaro the team was swamped by work, which was dealt with most effectively by using a special treatment protocol which Geoff has helped develop. With Geoff’s tutelage, Aida, in particular, has become extremely proficient in treating decay quickly with basic equipment. A return visit next year is on the cards to assess the 344 teeth treated in this way. Catastrophe struck on the ‘lucky’ team’s second last day. 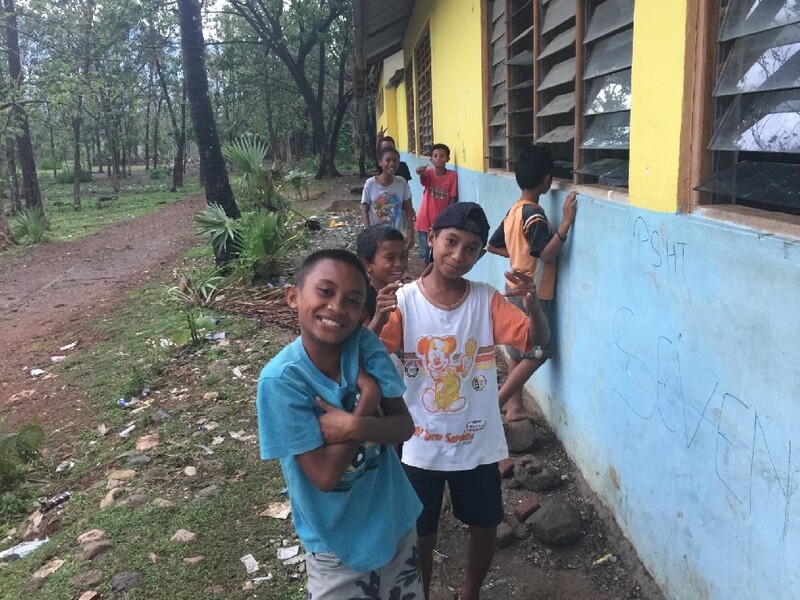 The compressor kicked the bucket at the worst time – when they were treating Sr Fatinha, our Timorese coordinator in Bobonaro. A 5 min job became a 2 hour job. Well done Geoff! Despite equipment failures and the bells and the dogs of Bobonaro, the team managed to maintain their remarkable spirit and goodwill throughout the trip. Could it be because of Anneli’s sterilisation efficiency keeping them amply supplied with cold steel? Or was it super-dental assistant Breanna, with her continual rendition of AFL songs? 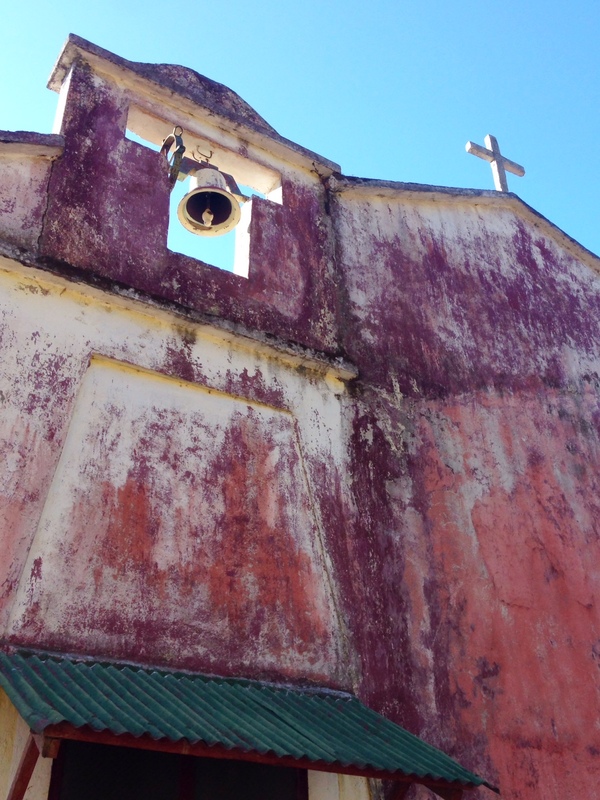 Perhaps it was the pilgrimage with Sr Mendes to the hotsprings at nearby Marobo? No matter what the reason, they were a great team! Another successful trip despite many trials. The team treated a total of 578 patients. They extracted 321 teeth, filled 226 teeth and performed 438 preventive operations. Well done Hans, Yvonne, Breanna, Geoff, Anneli, Aida, Sr Filomena and Sr Fatinha! The last team of 2014 is now on-track to depart from Timor Leste in a couple of weeks. It has been a bit of a ride for this last team – administration problems, recalcitrant passports containing one too many numbers for online forms and scary health issues have all contributed to the stress of preparation for this team. Nevertheless, they are still going! You’ve got to admire the dedication! The last team consists of returning clinicians Dr Hans Raets from Northern Territory and Dr Geoffrey Knight from South Australia, as well as three eager new volunteers – Dr Yvonne Huijser Van Reenen and Ms Breanna Martin, who also reside in the balmy NT, and Ms Anneli Knight, Geoff’s intrepid daughter. It is fabulous to see that this program has true national support, with dentists participating in the program hailing from all states (except Tassie – too far for them to travel, perhaps?). 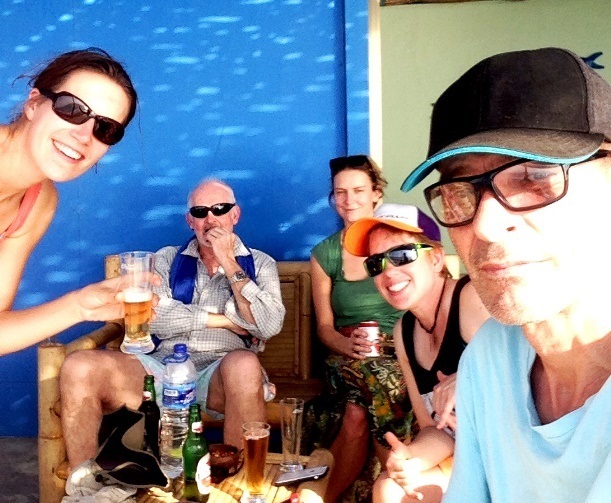 The team will arrive in Dili on the 6th September. Their first job will be to fix the portable suction unit which was discovered to be leaking on the last day by the July team. Unfortunately, Team 3 possessed neither the tools nor the hand size for the job – thankfully Team 4 consists of taller people and has had the chance to head to Bunnings! The team will, as usual, spend the first week in the Maubara/Liquiça subdistricts and then will be heading out the hills of Bobonaro for the second week. Lucky them! The area around Bobonaro is exceedingly beautiful and Sr Fatinha and her fellow sisters will make them feel right at home. The only downside are the bells…and the dogs….a very early wakeup call. Fair warning!! NB: This video was taken from bed. Note it’s pitch black!